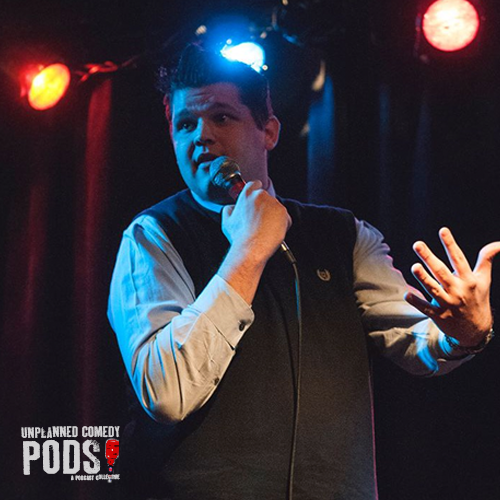 We talk about the Woodland Hills High School lunch table roasts where he learned to cut up with his friends and how much they've supported him through his first 6 years telling jokes. Our mutual love for the team at Apis where he's taped a number of his early episodes and I headlined Bee's Knees last November. Ray's headlining Club Cafe this Saturday at 10p so we discuss set structures, different tools he's picked up to adjust in a set and how he's spending his days since quitting the job he's known through the bulk of his comedy career. Posted on October 3, 2017 by Woody Drennan.